There's no description on this MOC by builder David_Alexander_Smith, so it's up to my imagination to figure out how this fits in the Blacktron universe (like that's a problem). Meet Blacktron Kong, the bipedal mech invented by Thaddeus Shvenkle of the 76th Space Division- Oracle Base Unit. Kong was built for remote exploration on the uneven and diverse terrain of Novus 6. 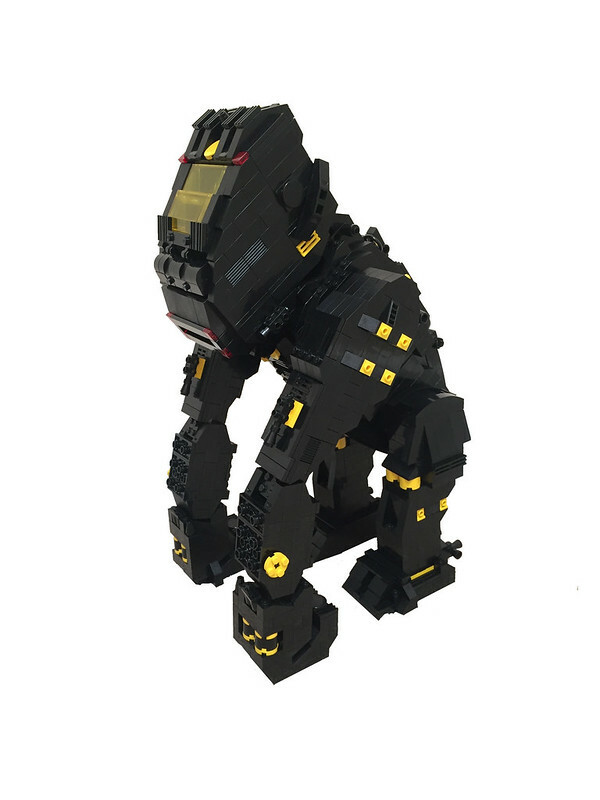 His ape-like structure allows for high mobility in the jungle regions as well as the rocky plains. Kong has a crew of up to 4 explorers, but is capable of being driven by a single pilot. His total mission time is 76 hours under normal use and his energy source is classified at this time.